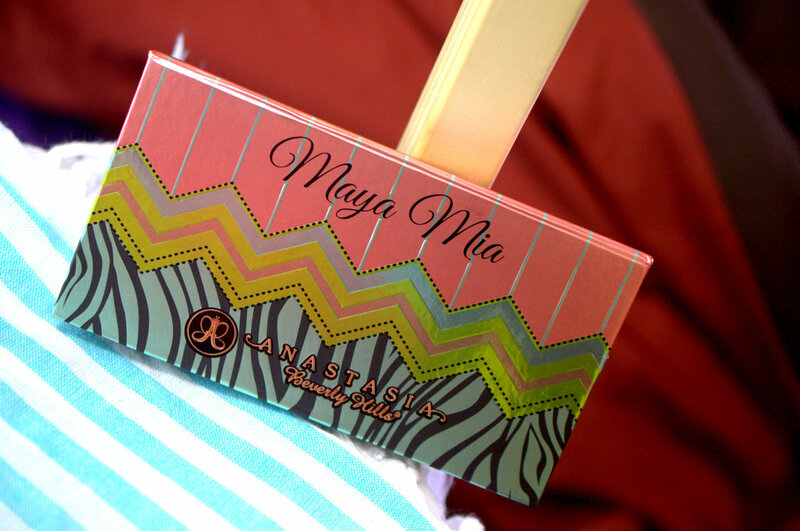 This is a very special Makeup Wars because a few of us gals were so graciously sent the Anastasia Beverly Hills Maya Mia palette to review. I haven’t been keeping up with the awesome things that Ana has goin’ on and uh…talk about a mistake. This palette has reignited the admiration that I have for the brand. 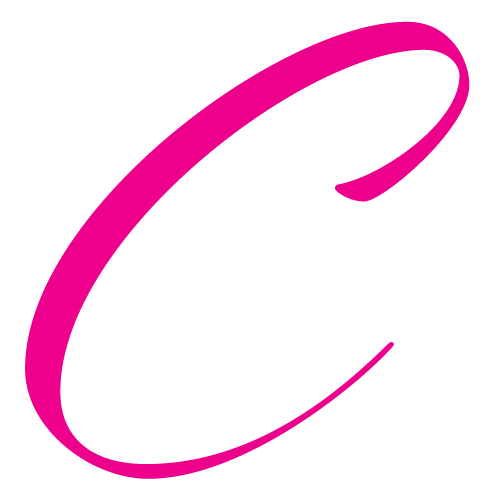 Designed by blogger and makeup artist Maya Janeska. This East African beauty is not only stunning but puts out amaziiiiing tutorials and has a jumpin’ Instagram channel. She collaborated with Anastasia Beverly Hills to put together a fantastic palette. 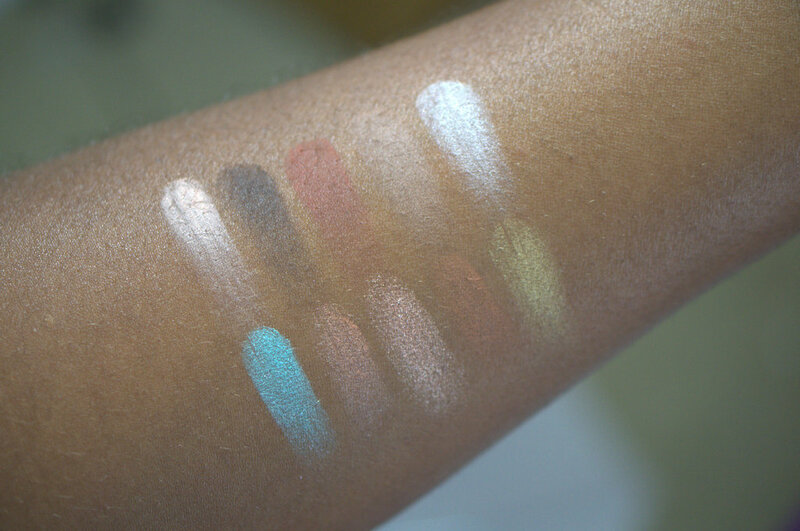 It really is unlike any eyeshadow palette that I’ve seen before because within the 10 shadows, you’ve got two pops of color – including that very bright Aqua! What a nice little surprise, right? I’ve found that the Aqua works very nicely on the lid and even used as a liner on the waterline. 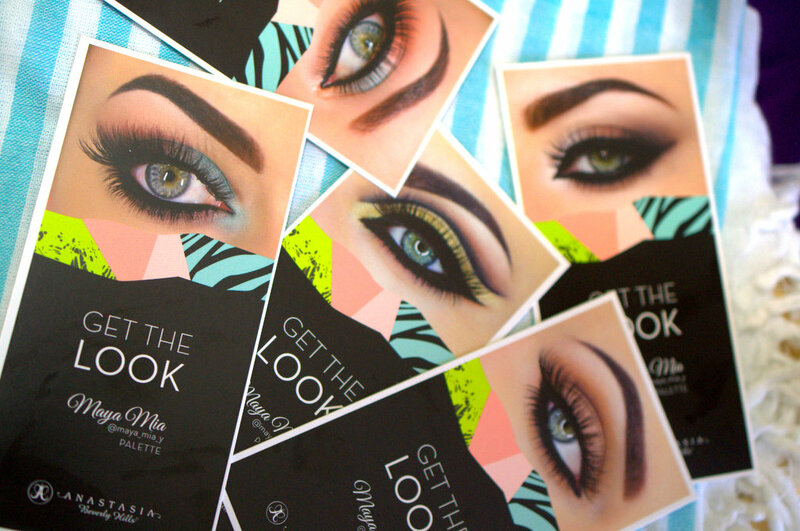 Included with the palette are 5 Get The Look cards . 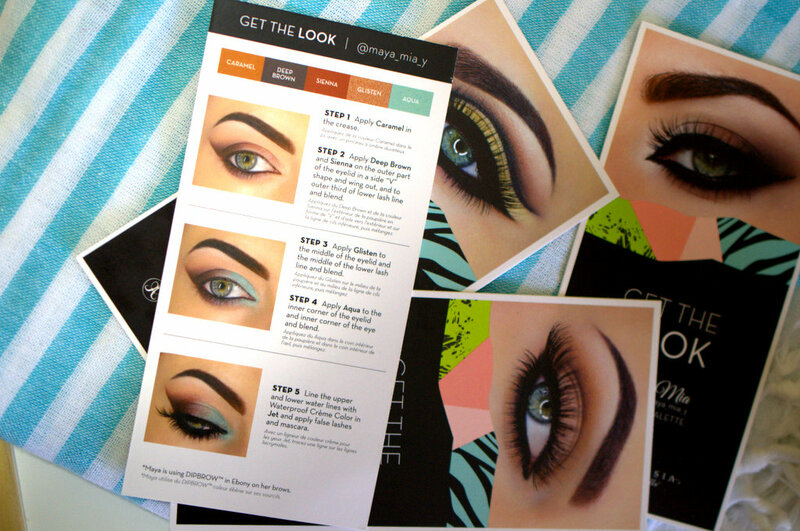 Maya has given us step-by-step instructions on how to achieve various looks. Of course I fell in love with the look that used that stunning Aqua. I’m lovin’ how the cards tell you at the top which shadows you’ll be using. Swatch-wise, I would have loved for these to be more intense. They pop well on my skin but if we could have taken the intensity level up a bit more, I would have been a happy girl. 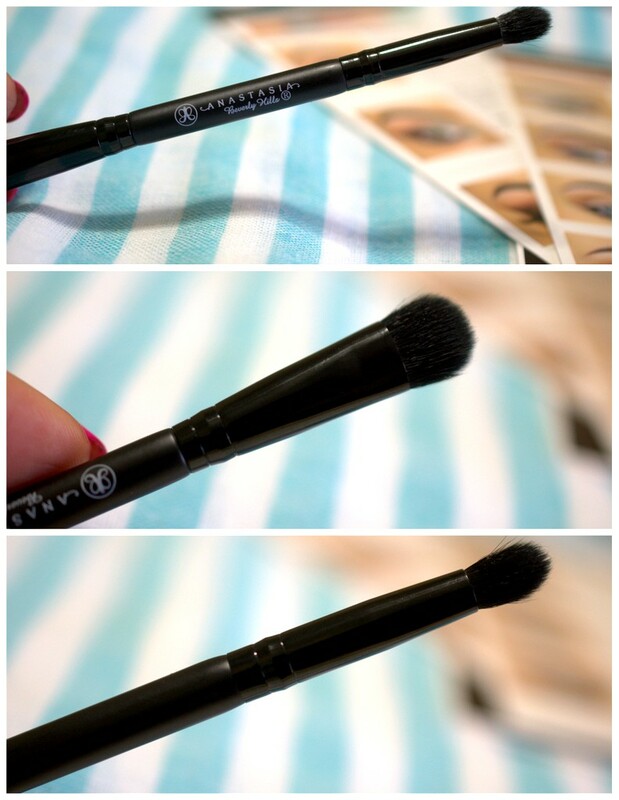 And then there’s a nice dual-sided brush! You can get this palette from ULTA.com for an easy $29. 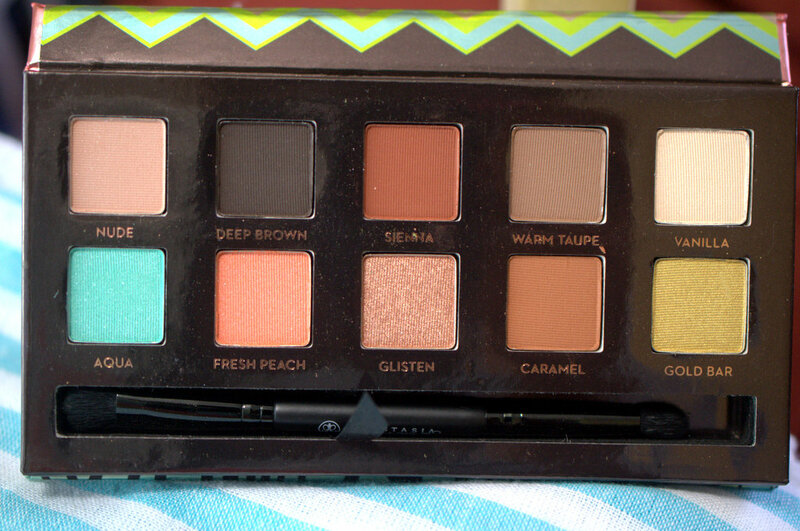 Makeup Wars: The Too Faced Cat Eyes Palette is Purrrfect! Aqua is stunning on you! Yep! The perfect base can make miracles happen. I really love how the colors pop on your lid, so pretty! How was I not subscribed to your channell?! Absolutely love the look you created! I really like the color selection they included! Glisten is such a gorgeous shade! I know you wanted them to pop more but I think they look fab on your skin! what a lovely palette. these mua collabs are brilliant! It’s too bad that you didn’t like the texture of the aqua, because it looks great on you – all these warm shades really do. That deep brown is sooo pretty. Keep doing tutorials and videos.. it’s the only way I get to see you these days! I knowwww. Which is a same because we really aren’t that far from each other. 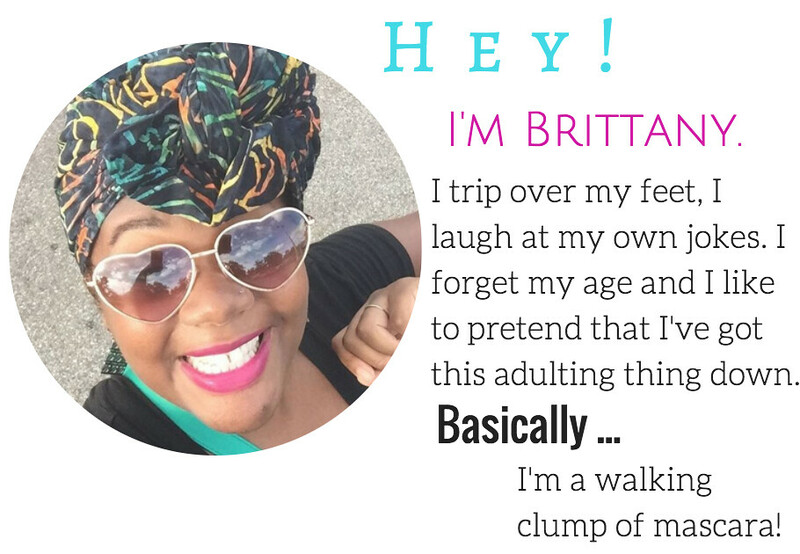 We need a meetup! Thank you for this tutorial! This palette is my new favorite. Yaaay! I want to see you do a tutorial on it! These all are such a pretty shades! Your video tutorial was so fun. You should definitely do more. I like that you start on the inside and work your way out. Makes sense.